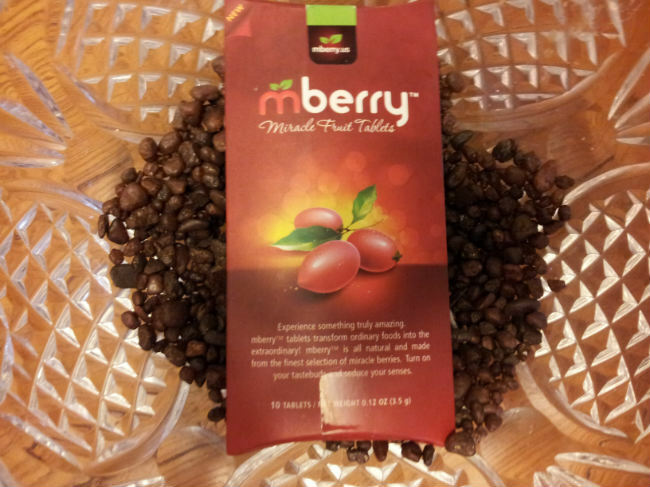 MBerry is a miracle fruit tablet which your taste buds need to experience! These little tablets take certain foods to another level. They are made of miracle fruit powder and corn starch with zero calories. Lemon- turned a bitter lemon into a VERY sweet lemon. Jalapeno-tasted like a sweet jalapeno with a spicy kick to it. watermelon-even sweeter and juicier than it already was. Lemon water-tasted like a perfectlyÂ sweetenedÂ lemonade. Dos Equis beer-had aÂ slightlyÂ sweet yetÂ pleasantÂ taste. 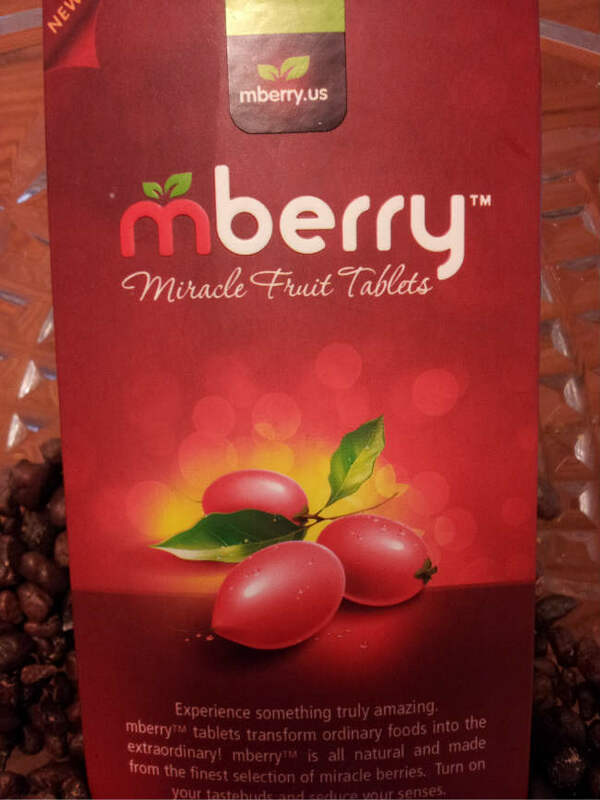 MBerry tablets can be found at mberry.us. They have a few products, including a miracle berry plant. 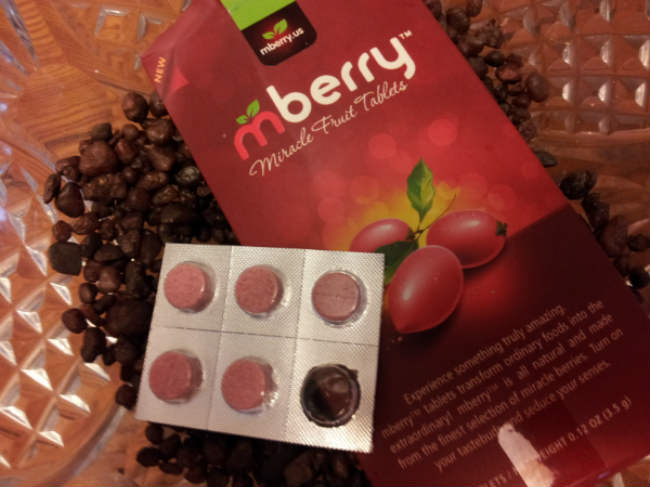 The Mberry tablets are a very inexpensive product, which you should definitely consider getting and trying for yourself. These tablets have the ability to transform sour and bitter foods into a sweeter version, which is a pretty innovative product for weight loss purposes. If you have a sweet tooth, these tablets can eliminate bad snacking by helping you to avoid junk food and replacing it with a healthy choice. You’ll still have the sweet taste from sugar, but not the all the calories. Have you tried Mberry’s? Share what foods you tried below! If you purchased them and haven’t tried them yet here is a Â helpful tip, don’t drink soda unless you want a sugar overload!